You don’t have to be a professional musician to make these bells sing. 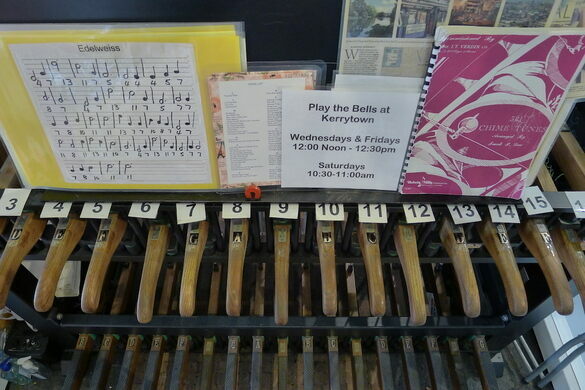 Three times a week, members of the public are invited to choose from more than 100 song options and try their hand at playing this chime. The Kerrytown Chime is a seven-ton, world-class instrument. It’s also the only instrument of its kind that is open for the public to play. 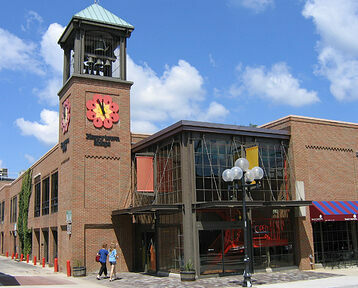 Its 17 bells can be heard from a three-to-four-block radius. The chime was finished in 1998. It was inspired by a cathedral in Cork, Ireland, which has a set of bells that the public is welcome to play. The O’Neal family, residents of Ann Arbor, visited the Irish cathedral and were inspired to create a similar attraction in their own city. This magnificent musical instrument was then constructed in the bell tower of the Kerrytown Shops complex. 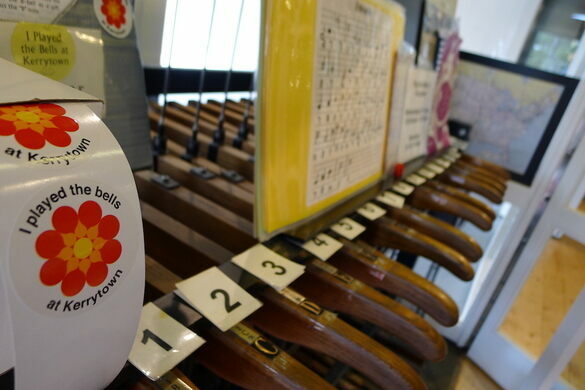 Each of the 17 levers within the chime stand is numbered, so even those who can’t read music can play a tune (the songs are written out on cue cards via a series of numbers). These weekly community concerts are fun! Playing the bells is good for the soul, and it’s also good karma. 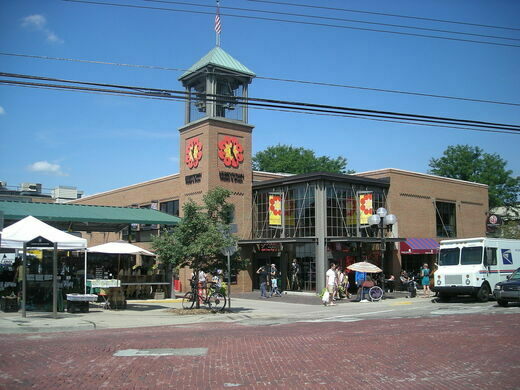 The Chime Stand is located on the second floor of Kerrytown Market and Shops. The Chime Stand is open Saturdays at 10:30 a.m. and Wednesdays and Fridays at noon for a half hour. Playing it is free and fun for all ages. You'll get a sticker to prove it.